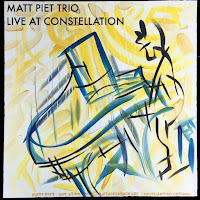 Chicago born pianist Matt Piet has been on my mind a bit lately. 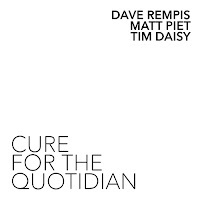 Ever since I reviewed the record Hit the Ground Running that he did with Dave Rempis and Tim Daisy, Piet has reinforced the wonderment of discovering something new and forcing you to take the time to go back and find as many records as you can. Piet studied piano at a young age and was classically proficient before too long. His travels to Berkley opened his ears to improvised music and it was there that he decided to move back to Chicago to pursue it head on. 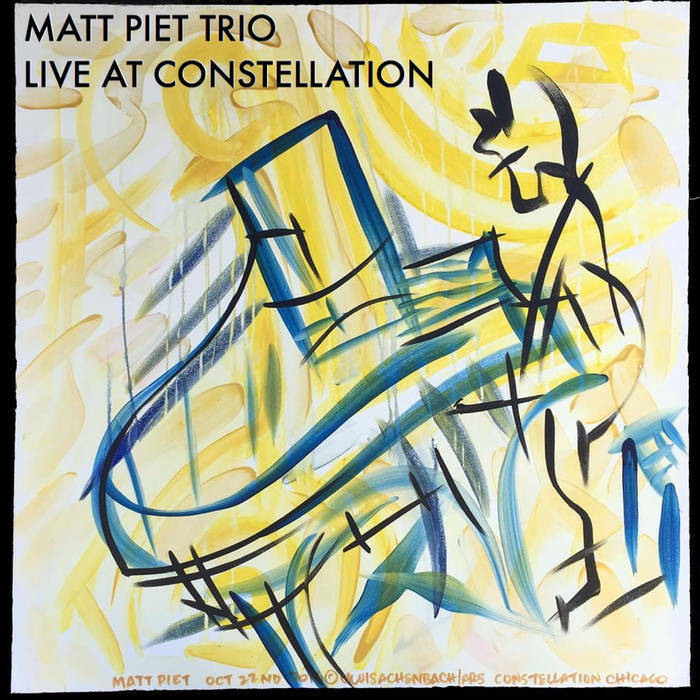 He spent many days by himself locked away in a studio tuning his ear and putting the touches on what would become the style that inspired me to delve deep into the Matt Piet variations. If you want to go back even further, some of these solo piano improvisations can be found on his record silent moves, unseen. The opening shot has been fired. Citing Paul Bley’s Footloose! 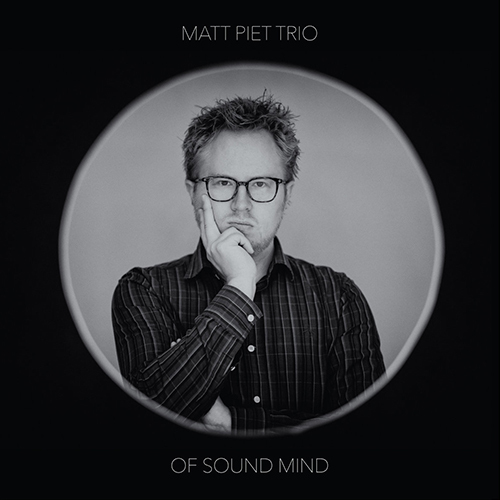 as the inspirational jumping off point to how he wanted his debut musical statement to feel, Piet releases Of Sound Mind. He wanted to utilize Albert Widman on bass and Julian Kirshner (Drums who you will see a lot more of later) as they were the ones he trusted to give a very important recording the best possible chance to match his vision. The final product is a success. It bounces between nods to the players who influenced him and to wholly original ideas that are fully realized; rare for a debut trio band leader. As much as his chosen rhythm compliment his style, they are just as important in their antagonistic role. On 'Mood Swing' for example, Kirshner swings the hell out of the kit and Wildeman jumps in right alongside luring Piet in to swing with them only to give him just enough rope before loosening the screws and throwing daggers for him to get around. This sits as an amazing fully improvised debut which may as well be his calling card for the records to come but it does require multiple listens as layers upon layers will present themselves. 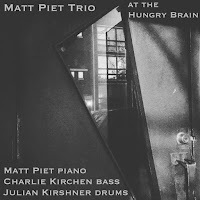 Part Two - Matt Piet invites two Chicago heavyweights to record an album and in true united Chicago fashion, they said yes. In my estimation, this would be the equivalent of me asking Ali to hit me on the chin a few times just to see if I have any staying power in the ring. Not only is Piet up to the task, he contributes in such a powerful way that this trio is slowly becoming one of my top musical moments of the year. Lets face it, Rempis and Daisy are going to be great. They have a rich recorded history that has documented their progression into true masters of their instruments. They know by now what the other is thinking. The true magic here is Piet who steps in a spars with both of them. It is also fun to hear a piano get between Rempis and Daisy. The opening track, Red Glare, is a 37 minute burner where they feel each other out, quickly realize the strength and power of what each of them bring to the table and then spend the rest of the track just going for it. No Jazz, is time to experiment with extended technique, and as the shortest track creeps into the finale, Cerebral Pulse in Hi-Fi, you can feel something brewing and by the 2 minute you start to get a small taste of what it is. 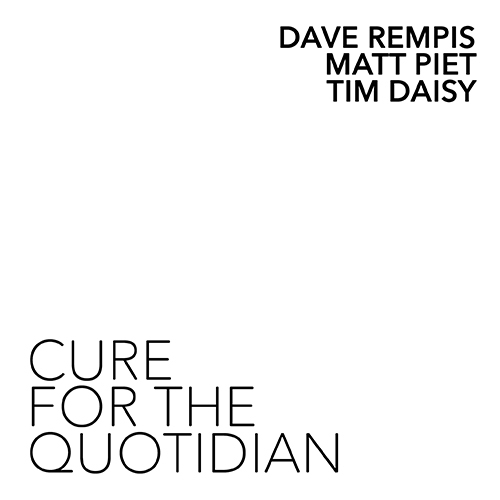 Daisy takes the edge off by switching to mallets and Piet plays around with repetitive phrases, while Rempis blasts off into the either. 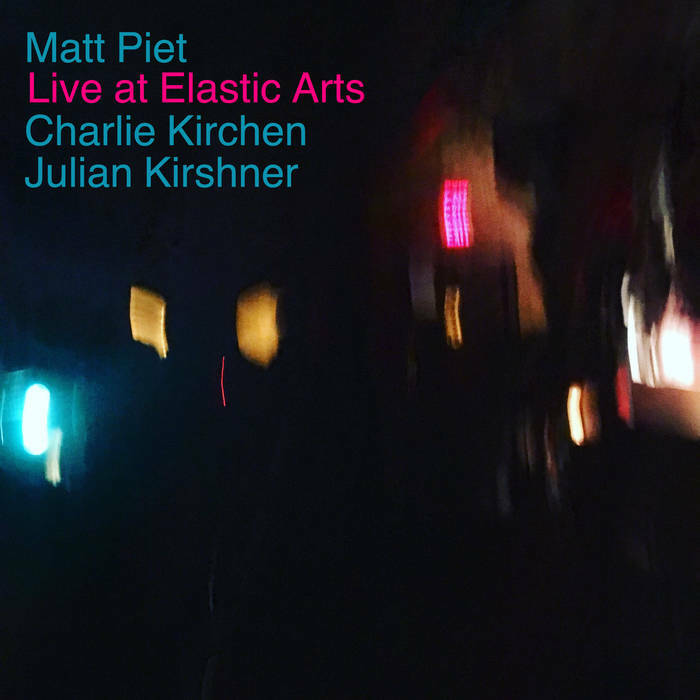 As the track approached the conclusion, and you realize that you are drained, you think to yourself that Matt Piet has made another powerful statement. Now he knows what can be, and how to get it. And here he gets it. Piet brings drummer Julian Kirshner back into the mix and adds bassist Charlie Kirchen to the roster for these three live gigs. To be honest, I have not enjoyed a piano as much as this since I was a kid and I stumbled across the Chick Corea Akoustic Band. I had a part time job working in a bookstore one summer and I could play whatever music I wanted. I had the cassette and whenever I opened the store and got past the security code, that tape went in the player. Understandably, their approach to the piano trio is very different, but that feeling of being in the presence of something special is still the same. Matt Piet has so much to say and this becomes the perfect vehicle for it. In a new jazz world of huge orchestras and electronic experimentation, Piet manages to carve out three amazing records full of fresh ideas. A new message in an old medium. Everywhere throughout these records you can hear the influences from the players he studied like Misha Mengleberg, Crain Taborn and Cecil Taylor, but when he ditches the past and allows his muscle memory control the proceedings, his classical flares and acute improv senses take over and the real magic happens. There is an obvious progression both in execution and flow of ideas from Of Sound Mind to here. It really is everything you could want in a forward thinking trio. Live at the Constellation begins with the fitting song title 1. The statement. It is full of arcs and quieter moments where the three players demonstrate their abilities to listen and talk. The record expands on moments that cook and when a heavy hand is needed to pound out a repetitious phrase, it appears. Real attention grabbing work. At the Hungry Brain a more mature still version appears. It starts with a bass and drum line and before Piet attacks it with precision ivory strikes, you are already a part of this exciting world. The rhythm section is a little more prevalent on this one as they are given a little more space to stretch their ideas. As if we have gone full circle, Live at Electric Arts begins with a track called 1. This record delves back into the long form as the group who are full of gas, explode out of the gate with speed and nimble fingers but soon changes gears with a bowed bass and a very expressive piano narrative. Three very solid records to establish this trio as a new force. Oh my! I instantaneously bought everything with Matt I could find on BC. I sincerely hope for tour dates in Scandinavia or at least Europe in 2017. I'd love to see the trio live.